All students, faculty, and staff read the selected literary work and participate in various opportunities throughout the academic year to engage in scholarly inquiry, broaden and deepen their understanding and responsiveness to social problems, promote dialogue and interdisciplinary exchanges, and seek opportunities to put the new learning into action. Faculty members integrate the common read into each course for the academic year, inviting the student to explore the same piece of work through multiple lenses, an approach consistent with the liberal arts tradition. The Nightingale captures the epic panorama of WWII and illuminates an intimate part of history seldom seen: the women’s war. 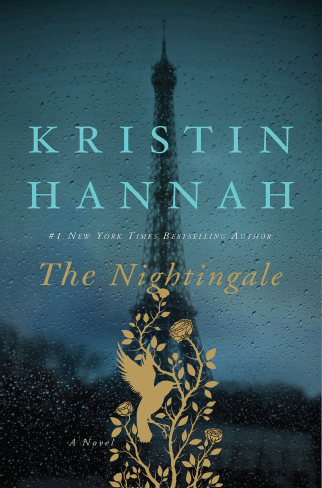 The Nightingale tells the stories of two sisters, separated by years and experience, by ideals, passion and circumstance, each embarking on her own dangerous path toward survival, love, and freedom in German-occupied, war-torn France–a heartbreakingly beautiful novel that celebrates the resilience of the human spirit and the durability of women. It is a novel for everyone, a novel for a lifetime. Ms. Hannah spoke at Notre Dame on October 17, 2017, in LeClerc Auditorium from 7-8:30 p.m. The event was free and open to the public. Keep your eyes out for other upcoming Common Read events!